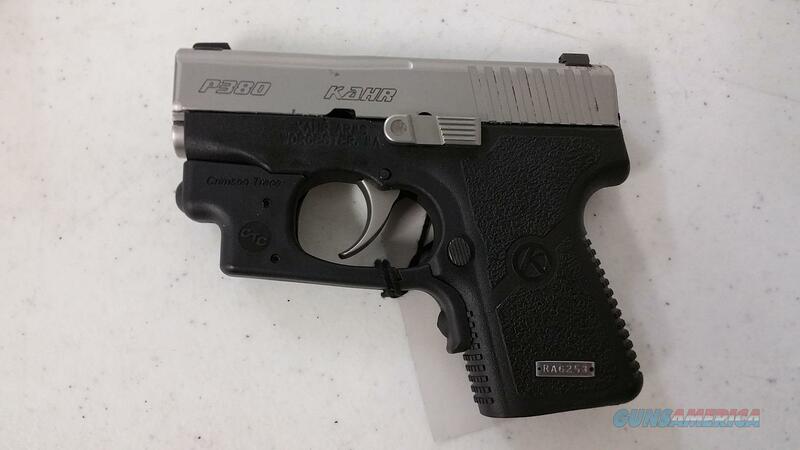 Description: This used Kahr P380 semi-auto P380 pistol is chambered in .380ACP and has a 2.5" barrel. It has a Stainless steel slide with a black frame. It comes with a Crimson Trace red laser, night sights, one 6 round magazine, lock and hard case.